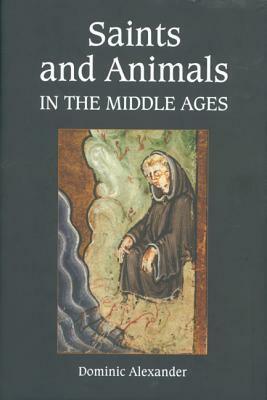 A useful compendium of stories on animals and saints, focusing primarily on the desert fathers, Gregory’s Dialogs, Irish and Welsh hagiography, the legends of Cuthbert and Farne more specifically, and finally on Francis. This will certainly be the go-to treatment for the ‘hunter and hermit’ topos for the foreseeable future. However, Alexander’s compendium is only incidentally about animals. It is, rather, about the incorporation and redeployment of folkloric culture (generated by what he sometimes calls the “uneducated masses”) by ecclesiastical writers and about what might have been called, by a more theoretically sophisticated critic, the ‘political unconscious’ of hagiography as it allegorically registers/engages with conflicts between abbots and their monks, abbots and local lords, and the rise of the money economy in thirteenth-century Umbria. At no point in his highly speculative suggestions about peasant culture and political struggles does Alexander foreground why animals are ‘good to think with,’ nor does he consider the power relations between humans and other life except as they can be said to say something about human relations. Thus, to refuse modern “sentimental” (his word, repeated) readings of medieval animal literature, Alexander blocks non-anthropocentric approaches or indeed any consideration of the animals of these stories as animals. It’s a pity, because so much of what he provides is so wonderful: the story in the life of Maedoc in which a monk’s head became a surrogate calf; Cainnech, served a lamb by nuns, who resurrects it when he learns about its sweetness; the ducks of Farne, one of whom quotes Jesus (“Rise and follow me”) to summon a monk to rescue its duckling (which Alexander characterizes merely as rustic comedy); or the story of Abbot Helenus, where a crocodile dies, unable to kill him, so it will not suffer the penalty for the slaughter of souls (as if animals had moral responsibility!). Alexander concludes one chapter with: “The genre of ‘hermit and hunter’ and shrine animal sanctuary stories may well have been understood to contain an element of social protest. Outside the shrine, the powerful may be dominant, but inside the shrine a saint could ensure a form of divine social justice which, metaphorically or literally, included all the powerless of Creation” (168). Think of what he could have written had this been his guiding theme!